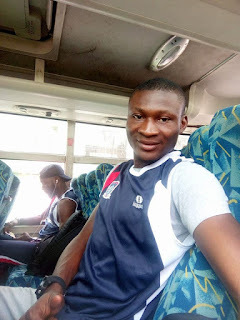 By OJEIKERE AIKHOJE NPFL goalking, Godwin Obaje, wants to make a remarkable debut for FC Ifeanyi Ubah by scoring against champions, Rangers, in Sunday’s Oriental derby. 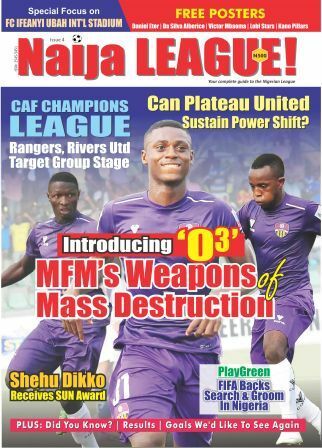 Obaje comes with huge credentials, not only as the top scorer in the Nigeria Professional Football League last term, but also as highest paid player in Nigeria following his luxurious move to the Nnewi side bankrolled by Nigerian business mogul, politician and entrepreneur, Dr. Patrick Ifeanyi Ubah. “I am happy to be part of the team. I’m not under pressure to score. What matters is the victory on match day, but I will try my best to score. I will be happy to score on my debut for FC Ifeanyi Ubah”, he told naijaleague.com.ng. Speaking on the importance of his debut on derby day, he said: “”It will be a great experience and honour for me to play this big derby as my first match. “Rangers is a big club just as FC Ifeanyi Ubah. The match won’t be easy, but we hope to get the maximum points at the end of the match”. Obaje has been assigned the number 17 jersey. Last season, the forward scored 18 goals at Wikki Tourists to top the goals chart in the NPFL.